This beautiful etagere is a replica of a regency design. We have two in stock, one black shagreen and one green. Nickel finish. 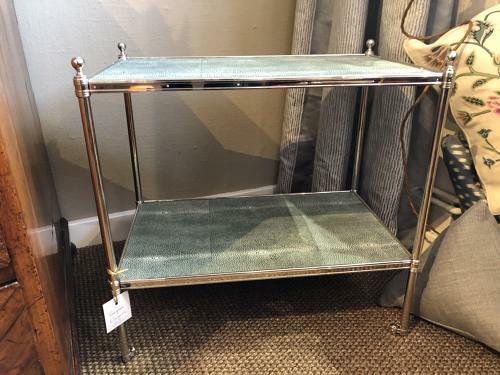 We have used this passe-partout occasional tables as end of sofas, bedsides, in hallways and so practical in bathrooms.